There were so many interesting names this season that I’ve had to split it into two sections. 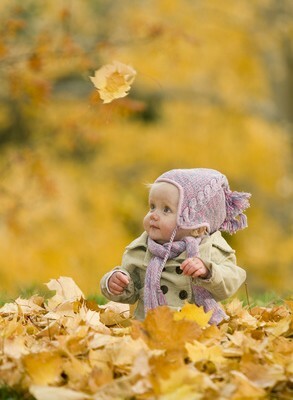 I had a very busy autumn, and was out and about a great deal, so managed to meet quite a few babies and toddlers. At a community event, I was astonished to hear a mother call her baby boy (around 2) Lucy. Had the name Lucy finally been “stolen” by the boys as an act of gender revenge? As it turned out, it was short for his full name Lucius (said LOO-see-us, not LOO-shus). I hadn’t thought of Lucy as a nickname for a boy before; even though Lou at Mer de Noms had a post on Girlish Nicknames for Boys, Lucy wasn’t mentioned. Then again, Lou is a girl named Lucy, and finds it too feminine to suit her, opting for the unisex Lou (which makes me wonder if Lucius will pick something else as he gets older). Lucius has a big brother named Ignatius, aged around 5-6, no nickname. Another nice brotherly sibset I saw: a baby boy named Marjan, and his slightly older brother Illija. These are Slavic forms of Marianus and Elijah, although Marjan is also used as a girl’s name in some countries, as a form of Marian. Illija I have seen on quite a few Australian sportsmen. And another one: two baby brothers named Casper and Otto. They were either twins, or very close in age, it was hard to tell. I thought both names were very handsome, may be slightly biased as an Otto myself, haha. At another community event, I saw a family who had a toddler named Sachin, and a little girl named Sitara. Sachin is one of the names of the Hindu god Shiva, and means “the essence”. Cricket fans will instantly recognise the name as that of Sachin Tendulkar, often said to be the greatest batsman of all time. The pretty name Sitara is Sanskrit for “the morning star” (the planet Venus). We spent Easter visiting family in Tasmania, and while out shopping one day, I heard a dad call his little girl (around 3) Tazzy. It did make me wonder if she had been named Tasmania after her state. I can’t think of anything else that starts with Tas or Taz, can you? Also in Tassie, met a family with a wee little lady named Kahlan, from The Sword of Truth fantasy series (You may recall Tabrett Bethell from the blog, who stars in the TV series based on the books, Legend of the Seeker). In the books, Kahlan is a woman who is a spiritual leader and has great beauty of soul. I could see the attraction of the character as a fictional namesake. Do other name bloggers get ridiculously excited whenever they see a baby with a name they have featured on their blog, especially one they have recommended, or is it just me who is this silly? I was thrilled to meet a fairly newish baby named Duncan, and possibly was just a little overenthusiastic in my praise. I asked the mum if other people tended to like the name, and she said, “Well not as much as you!”. Believe it or not, in the same two-week period, I met an Ayla and an Edwin, but managed to restrain myself. None of them said they got the name off a fantastic blog called Waltzing More Than Matilda, alas. Two more random babies I saw in my ramblings: Abel and Milton. Both perfectly “normal” names, yet you don’t see them every day on a baby, or even every year. Woah, Lucy for Lucius ?! It makes sense in theory, but then you remember it’s a ridiculously popular girls name…and suddenly my mind is filled with possibilities: Everett/Evie; Matthew/Mae; Reuben/Ruby; Roman/Romy. Well there are Charlottes nn Charlie … but yes, it’s intriguing to think of boys with popular girls names. Historically there have been Reubens named Ruby, but not when Ruby was a popular name for girls, so it’s a bit different to today. I worked with a Tarryn once, and I’m sure that her nickname was Taz. Oh goodness it could be anything then! Tas/Taz could have been short for Tasmyn ? That actually seems more likely – although it can be seen as a feminine form of Tasman, so would still be a Tasmania-oriented name. But wouldn’t Tamzin be Tammy rather than Tazzy? And you don’t really say TAZ in the middle of Anastasia … I guess they’re possibilities though. I guess so, it’s hard to tell with nicknames. It may not even be connected to the person’s name – my brother’s nickname is Bear, and it has nothing to do with his name, or even his appearance (he’s not a big burly bear of a man). Yes, but to me it makes sense a little girl would connect her teddy to her baby brother.